Boeing and a cabal of major aircraft industry players announced June 14 the first-phase winners of the ambitious GoFly Prize. Designed to jump-start the development of personal flying vehicles, the GoFly program is an X-Prize style competition with millions of dollars in funding at stake. 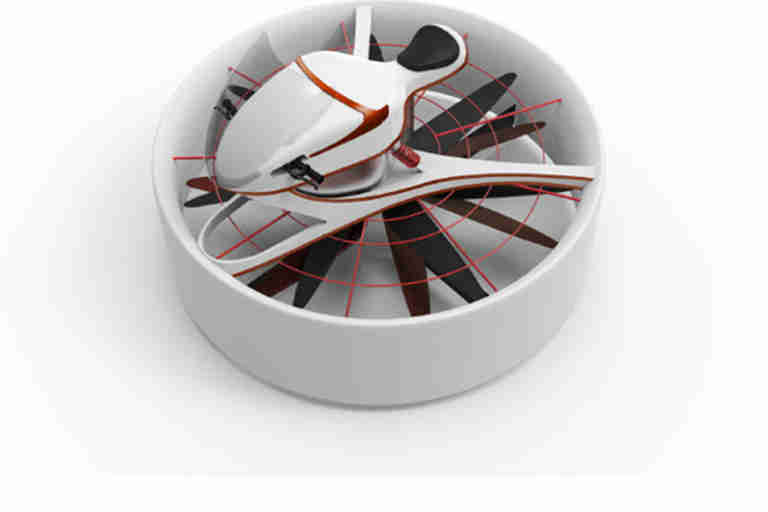 Initially announced in September of 2017, the GoFly Prize is a two-year, international effort to promote the speedy development of flying machines that are safe, compact, and (relatively) quiet. 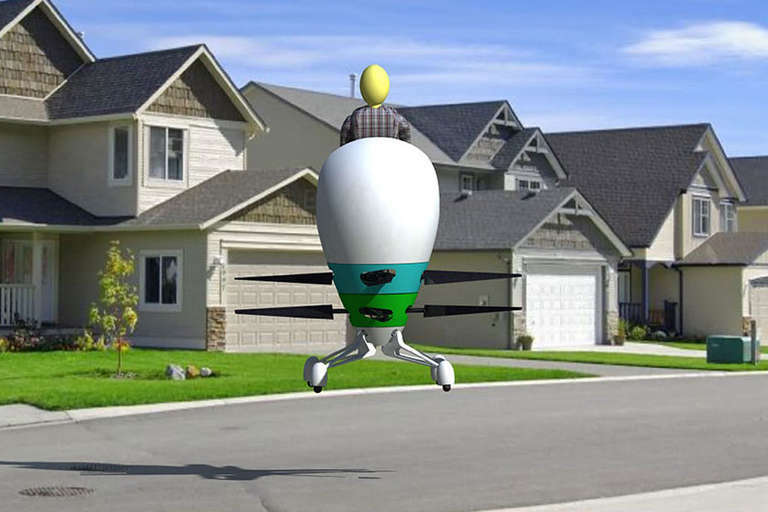 The ultimate goal is to design a personal flying device that can carry a single person 20 miles without refueling or recharging. Prototypes must also be able to achieve vertical — or “near vertical” — takeoff and landing capabilities for use in city environments. It's a tall order, but according to GoFly representatives, the competition has received hundreds of submissions for prototype vehicles since the program launch. The 10 Phase I winners announced today will each receive $20,000 in additional funding and move on to Phase II of the contest. 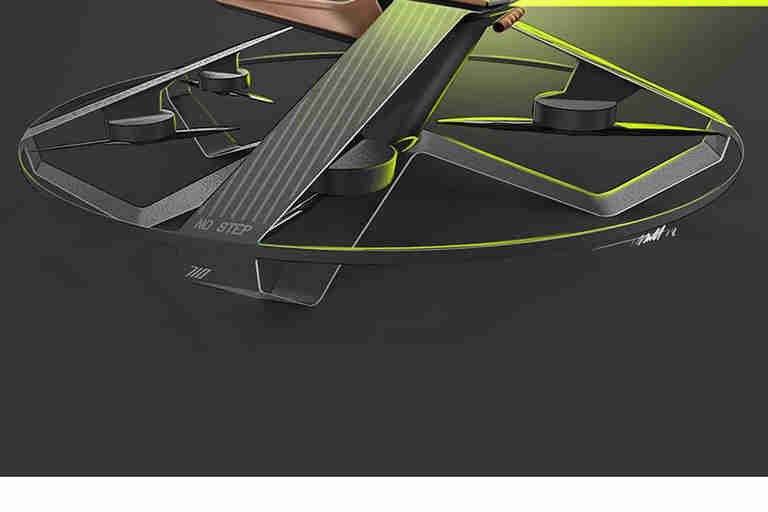 While details and tech specs on the winning entries are sparse — proprietary information, you see — GoFly has released a batch of images featuring the 10 winning concept designs. The Phase I competitors include university research teams and start-ups from five countries — Japan, Latvia, the Netherlands, the United Kingdom, and the United States. Each of the proposed designs was evaluated by a panel of judges to determine the most likely to evolve into an actual flying machine. 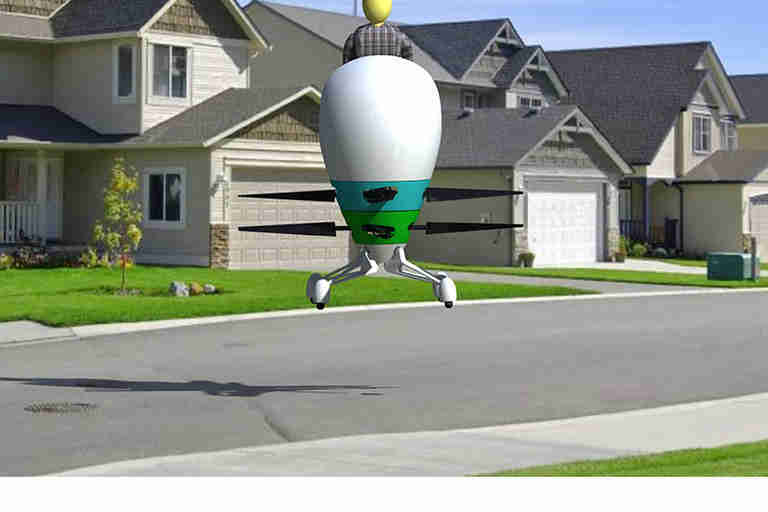 One interesting development: While science fiction visions of individual flying devices have usually pivoted on the old jetpack idea, none of the Phase I designs goes in that direction. 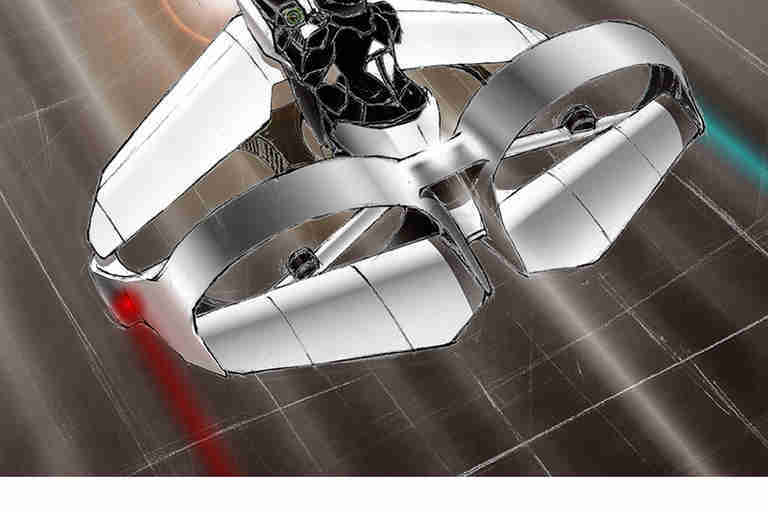 Instead, the prototype illustrations suggest the future is all about single-rider electric rotor-driven vehicles, sometimes called passenger drones. Click around online and you can find several flying machines of this variety already off the ground in labs and private airfields. ERA Aviabike is a tilt rotor aerial vehicle type that combines VTOL capabilities of helicopter with range and speed of fixed-wing aircraft. 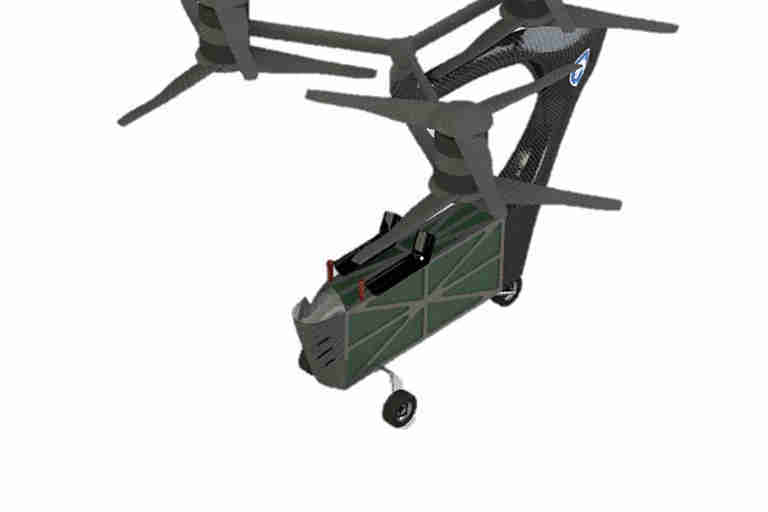 Students and faculty at Penn State University Aerospace Engineering designed Blue Sparrow to be scalable, robust, safe, and fun to fly. 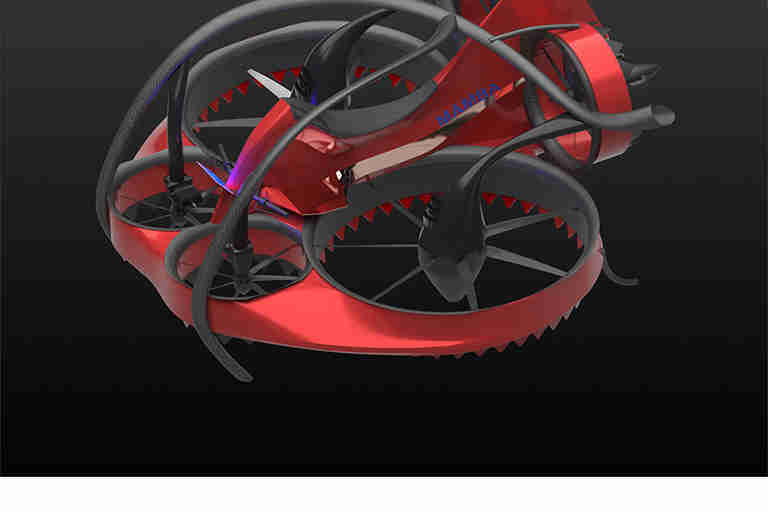 HummingBuzz utilizes a fully electric, ducted coaxial rotor configuration, with the fuselage on top, in the shape of a motorcycle. 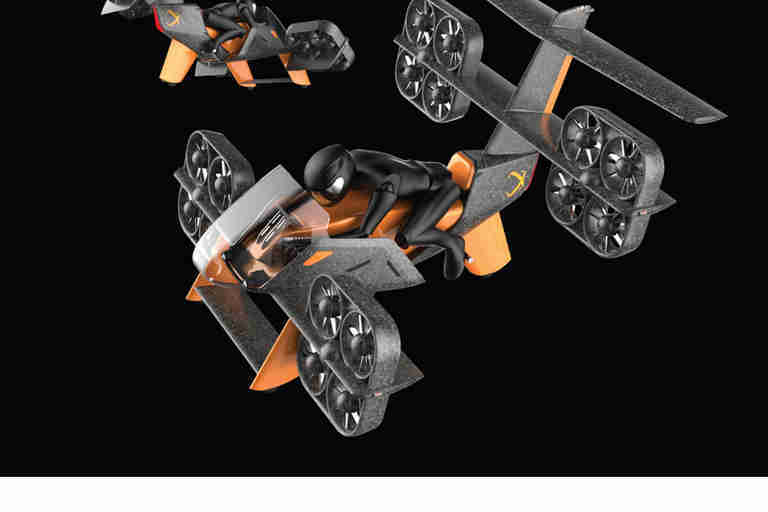 Leap, a team from the United Kingdom, designed a five-rotor airbike. The Mamba, designed by a US-based team, is a hexcopter with shrouded rotors and a tilting empennage. The Pegasus, designed by Scoop in the United States, is a Y6 tilt rotor with a wing and a hybrid powertrain with a cruise speed of 70 knots. 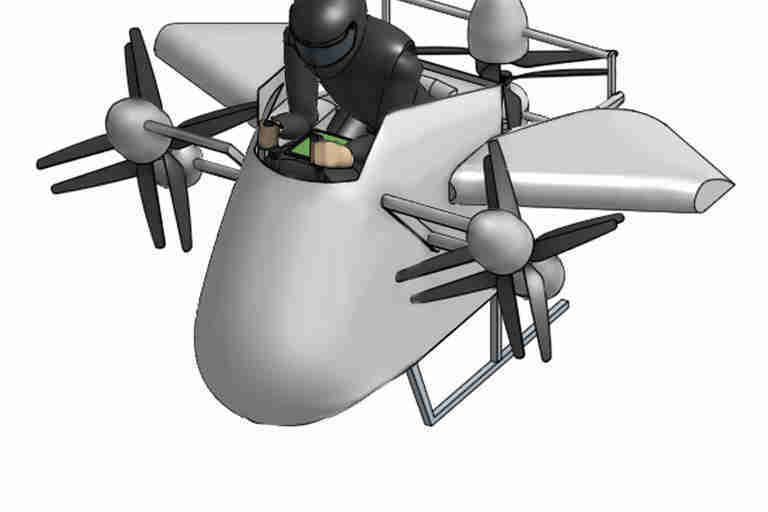 This device, designed by Silverwing from the Netherlands, is a canard-wing configuration around a person in motorcycle-like orientation powered by two electric motors with ducted rotors. 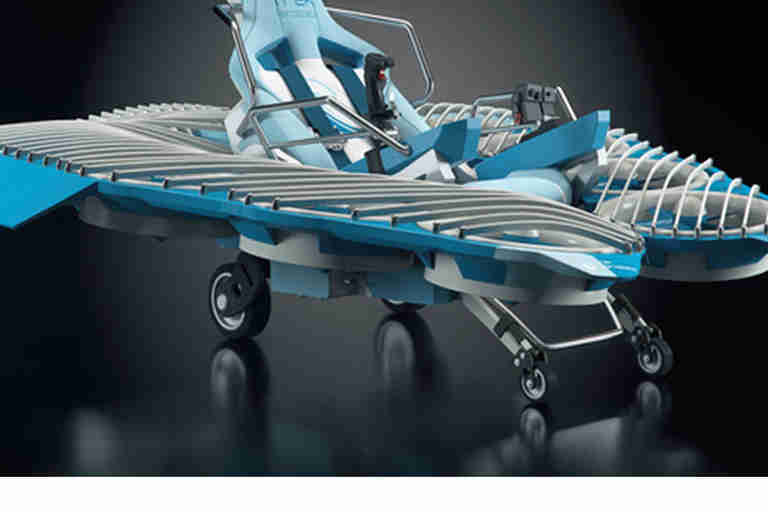 The aircraft makes a 90 degree transition from vertical take-off to horizontal cruise flight. The Japanese-designed TeTra 3 is not only efficient, but also stylish enough for commercial requirements. 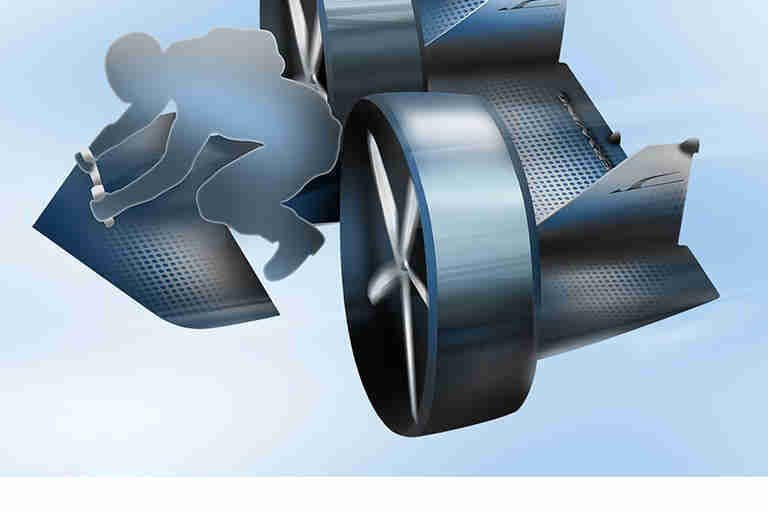 A compact rotorcraft designed to minimize noise and maximize efficiency, safety, reliability, and flight experience. FlyKart 2, designed by Trek Aerospace in the United States, is a single-seat, open-cockpit, 10-rotor, ducted fan, electrically-powered, VTOL aircraft.